Good Luck to Becca swimming in the Scottish Nationals Age Group Championships this weekend. Congratulations to William Payton and Serena Newell following their success at the County Championships been invited to attend the 2019 County Pathway. Please see the dates for when the club is shut down for summer 2019. Monday 5th August - Sunday 18th August. Sessions will be back on Monday 19th August. Club Captains and Vice Captains are chosen by the Head Coach and key factors taken into account when selecting is their dedication/ attitude to the squad training programme / to their peers/ coaches/ or their commitment to volunteering within the club. Also most importantly that they are good role models for our younger swimmers. Club Captain/Vice Captain also represent Team Sharks in the important National Arena League/ Mercian League and other Open Meets throughout the season and are a point of call for other swimmers for advice / help/ support on poolside. You may see these swimmers helping with the warm up’s and are experienced within the competitive environment. Well done Ellie for gaining 15th place in the 14-year-old age group for the 50m Breaststroke in her first English Nationals!!!! Well done Robin came 9th in the 18 year old 800m free with a new PB at English Nationals. 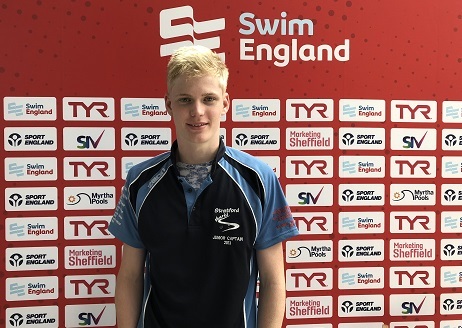 Well done to Daniel for gaining 12th place in the 15-year-old age group for the 200m breast in his first at English Nationals. Well done to Chris Proud who competed in the 1.5k Open Water Nationals in the Masters Category and came 15th!!! 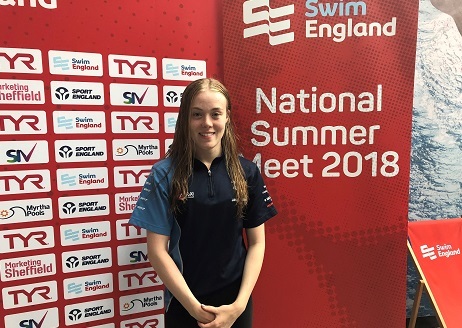 Well done to Isabelle Callaghan who came 20th in the 17 year old age group for 200m breast stroke at British Summer Championships. 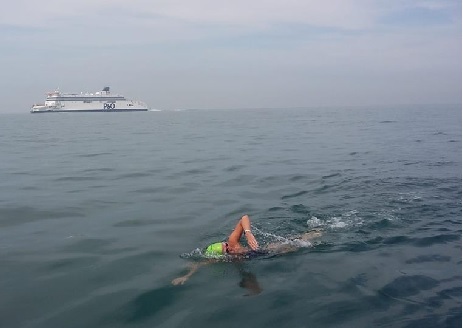 A huge well done to our Master's swimmer Sarah Jane who completed a two-person relay swim from Dover to France with her friend Janine. Sarah Jane & Janine started at 03:46 and landed exactly 12 hours later. Both having completed three x two hour swims! Sarah Jane is now enjoying a well earned holiday! 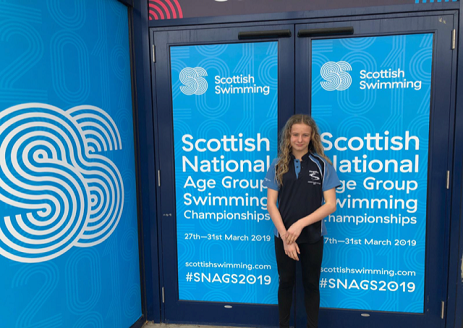 Well done Becca for representing Team Sharks at the Scottish Nationals 2018 in the 1500m Freestyle. Becca has a new PB 19.51.94 and came 5th in the 12/13 age group. Well done to Sarah Jane and Chris for representing Team Sharks at the Great North Swim 10k! Congratulations to Cassie Lea and Alistair Ristov who were successful at being selected for the 2018 Warwickshire County Pathway Programme. Warwickshire is one of only two counties in the West Midlands to be piloting the England Programmes County Pathway. The County Pathway is aimed at developing the best 11-year-old swimmers from the County Championships and is the start of the journey on the British Swimming, Elite Swimmer Development Programme. Stratford Sharks Swimming Club, based in Stratford-upon-Avon, has a part time vacancy for a senior squad coach to join our team, working between 5 and 7 hours per week. We are a forward thinking, ambitious, competitive club with SwimMark status. Your main responsibility will be to act as senior competitive and masters squad coach and deliver high quality coaching in line with the club development plan and macro training cycle. Deliver regular weekly training sessions, including weekends. Take a situational approach to swimmers, adopting different coaching styles where necessary. Hold a coaching qualification - Level 1 working towards Level 2. Most importantly be enthusiastic, self-motivated and be an excellent communicator. Great Start to Junior League 2019! Well done to all who swam at the 1st Round of the NJL last night, a great team effort! We came 3rd place!!! 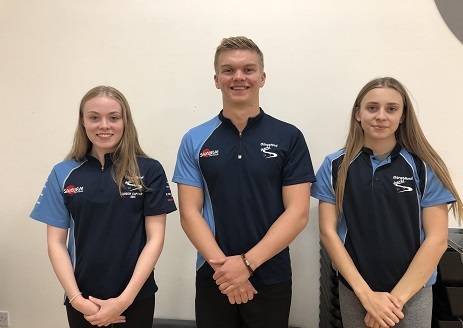 STRATFORD Sharks swimmers delivered some great results at the first weekend of the ASA Championships held in Coventry. TeamSharks were represented by 74 qualifying swimmers, with no less than 37 of the starting blocks in the finals being occupied by Sharks swimmers. Three of these, Isabelle Callaghan, Leah Bowen and Charlotte Harding, were crowned as County Champions over six separate events. This is the last time the Championships will be held at the old city centre pool as the brand new £10.5million Olympic 50-metre pool is currently under construction at the Alan Higgs Centre, in the south east of the city which is due to open later this year. In the boys finals 10/11 age group 50m races, William Payton came third in the freestyle and Finn Proud fourth in the butterfly. For the girls, in the same distance and age group, Serena Newell was sixth in the breaststroke and Martha Bullock came seventh in the backstroke. In the 12-year-olds category, Cassie Lea finished sixth in the 100m freestyle and seventh in the 100m backstroke. Alistair Ristov was sixth in the 100m breaststroke final and Jake Deaner came home fifth in the 50m fly. The girls 13-year-olds category provided the biggest haul of Championship medals and finalists, with Leah Bowen gaining first place in the 100m freestyle and backstroke respectively as well as the 200m freestyle. 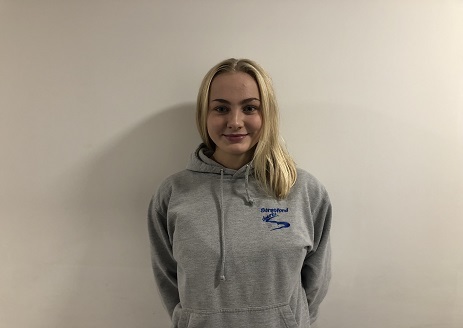 Bowen also finished fourth in the 50m breaststroke and runner-up in the 50m backstroke to another TeamSharks swimmer, Charlotte Harding, who also won the 400m individual medley. 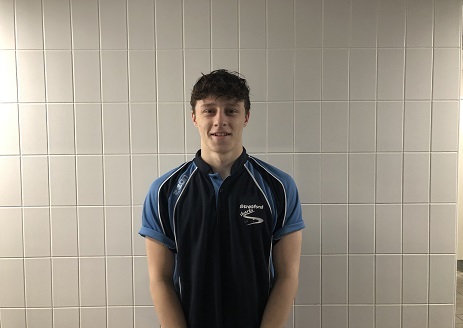 Harding had finished in second place to Bowen in both the 100m backstroke and the 200m freestyle as well as finishing third in the 100m freestyle. Holly Larkin appeared in four finals, finishing fifth in three of them and fourth in the 200m freestyle. 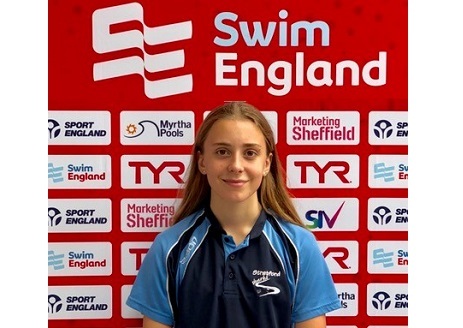 Completing the picture for the 13-year-old girls was Abi Dudfield, who was one of four TeamSharks swimmers in the 50m backstroke final, finishing seventh. Although the boys could not quite match the girls’ performances, Connor Silvester finished fifth in the 100m breaststroke final. In the 14-year-old age group, Rebecca Morrison finished seventh in both the 100m breaststroke and 100m freestyle. Joel Watson reached the 100m breaststroke final, also finishing seventh. Ellie Harsant finished second in the 15-year-old 50m breaststroke final, with Keana Pearce gaining fifth place in the 100m backstroke and sixth in the 50m backstroke. Hannah Penny finished fifth in the 100m freestyle final. The older age group finals provided more success for Stratford, with Isabelle Callaghan winning the 50m breaststroke final for the 16-plus category, gaining second place in the 200m breaststroke and third in 400m individual medley. Daniel Cox reached two finals, finishing fourth in the 100m breaststroke and seventh in the 200m backstroke. Georgina Ireland gained fifth place in the 100m backstroke final. THERE was further success for Stratford Sharks at the second weekend of the Warwickshire ASA Championships held in Coventry. 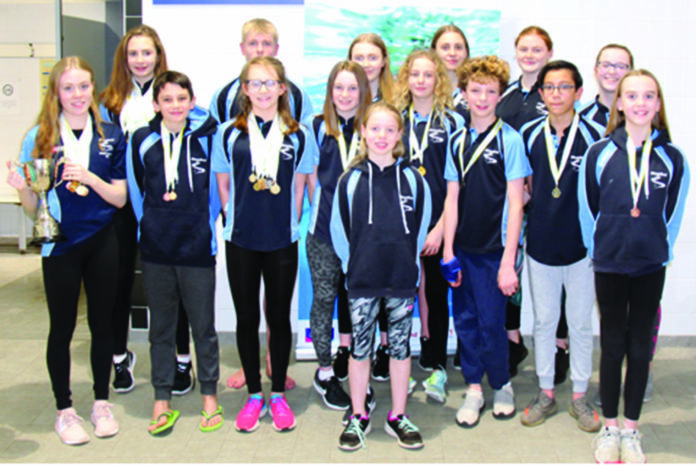 TeamSharks swimmers occupied a total of 35 starting blocks in the finals, with 16 medallists bringing home four gold, six silver and six bronze medals. Leah Bowen came away with three gold medals in the 13yr 200m individual medley as well as the 50m and 400m freestyle. Charlotte Harding took the victory in the 12/13yr 800m freestyle, with Holly Larkin finishing in the silver medal position. Further silver medals were won by Bowen in the 10/13yr 200m backstroke, Harding in the same age group 200m individual medley, 400m freestyle and 100m butterfly as well as a bronze in the 50m butterfly. Bowen also reached the butterfly final. Bronze medals in the 100m breaststroke were won by Serena Newell in the 10/11yr group, Ellie Harsant in the 15yr event and Isabelle Callaghan in the 16 and over category. For the boys, William Payton gained a bronze medal in the 10/11yr age group in the 50m backstroke as well as reaching the 100m freestyle final. Connor Silvester won silver in 50m breaststroke and Dan Cox claimed a bronze in the 16yr age group. Harvey Flint (15yr) and Alistair Ristov (12yr) both reached the 50m breaststroke finals in their respective age group. Dan Cox (16 and over category) and Edan Forbes (13yr) also reached the finals in the 100m backstroke, with Cox also reaching the 200m breaststroke final. In other finals, the girls TeamSharks swimmers acquitted themselves very well as Martha Bullock, the only 10-year-old finalist, reached the 10/11yr age group 50m butterfly final. Rebecca Morrison and Hannah Penny were in the 800m final for the 14 and over category. Georgina Ireland reached both the 50m freestyle and 200m backstroke finals. The Stratford swimmers were well in evidence in the 50m freestyle events, with Cassie Lea (12yr) as well as Harding and Holly Larkin (both 13yr) gaining final starting blocks, with the last two swimmers also competing in the 200m backstroke final. Larkin was also in action in the 400m freestyle final while Isabelle Callaghan reached the final of the 14 and over 200m individual medley. Stratford Sharks are now looking forward to challenging for regional and national qualifications over the next couple of months. 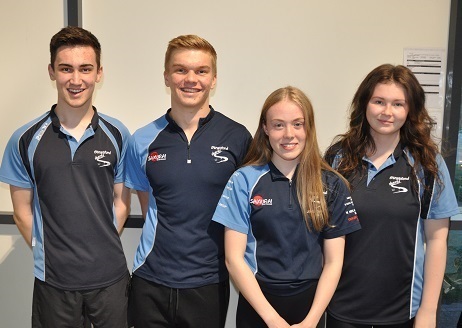 Sharks’ junior swimmers earned promotion to Nuneaton Junior League Division One after finishing a close second to Redditch in the Finals Gala held at Wolverhampton on Saturday evening. The Junior League Squad, aged between 9 & 12, scored 219 point, finishing 8 points behind Redditch, but well ahead of 3rd placed Bromsgrove on 180 points. 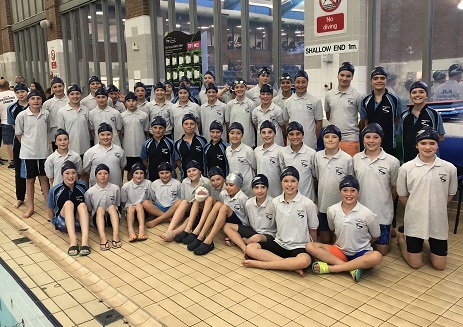 The 54-team Nuneaton Junior League, which is split into 3 divisions, is spread around the Midlands area, and gives many of the younger swimmers the first opportunity of competitive swimming. In the final there were some excellent swims in a highly-charged atmosphere. All the following information is presented in the Competitive Planner next to the relevant Championships. However, to make it easier for all, the Qualifying Windows below are when swimmers need to have achieved a specific time in order to be able to enter. *Times need to be achieved at a Level 1 or Level 2 meet in a Long Course pool. Thank you to the following people who help on poolside throughout open meets/coaching and admin etc. Mike Wardle , Chris Proud , James Thomas , Rebecca Pridham , Lara Forbes, Kate Barlow, Annette Statham , Yvonne Caswell, Josh Newman , Alison Ireland , Yaz Boff , Julie Brear , Trevor Key , Alan Robertson, Lisa Mitchell, Veronica Ristov , Kathy Lea , Julie Lawton, JP, Louise Greenall, Anna Doggett, , Kerry Larkin , Jen Morrison , Craig Morrison , Jackie Hughes and Young volunteers. Details of the 2019 West Midlands Champs can be found on this link. Merchandise can be purchased throughout the duration of the meet or on the link via the website. We have quite a few vacant numbers available. You can visit our club shop page to see all our fast kit, just select what you need, then click on the basket icon within checkout, and arrange a time to collect your items, payment will be taken by GoCardless DD.